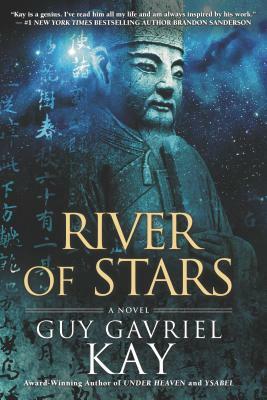 In his critically acclaimed novel Under Heaven, Guy Gavriel Kay told a vivid and powerful story inspired by China's Tang Dynasty. Now, the international bestselling and multiple award-winning author revisits that invented setting four centuries later with an epic of prideful emperors, battling courtiers, bandits and soldiers, nomadic invasions, and a woman battling in her own way, to find a new place for women in the world -- a world inspired this time by the glittering, decadent Song Dynasty. Ren Daiyan was still just a boy when he took the lives of seven men while guarding an imperial magistrate of Kitai. That moment on a lonely road changed his life -- in entirely unexpected ways, sending him into the forests of Kitai among the outlaws. From there he emerges years later -- and his life changes again, dramatically, as he circles towards the court and emperor, while war approaches Kitai from the north. Lin Shan is the daughter of a scholar, his beloved only child. Educated by him in ways young women never are, gifted as a songwriter and calligrapher, she finds herself living a life suspended between two worlds. Her intelligence captivates an emperor -- and alienates women at the court. But when her father's life is endangered by the savage politics of the day, Shan must act in ways no woman ever has.